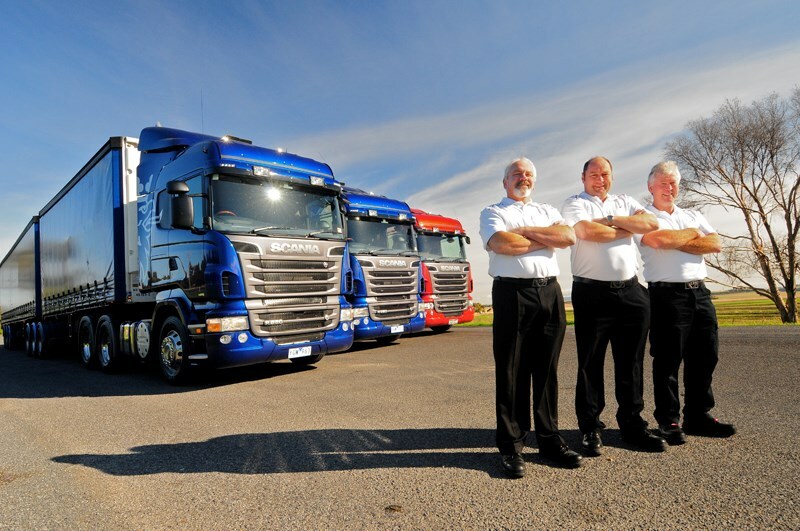 Gary Worrall compares three Scania trucks: the Scania R 560 6x4, Scania R 620 6x4 and Scania R 730 6x4. 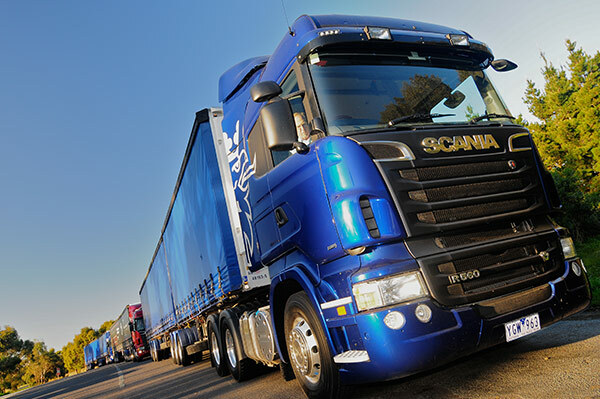 Standing next to an R-Series Scania is a little like standing next to a professional footballer. You know they’re big, but until you’re up close and personal, you don’t realise just how big. 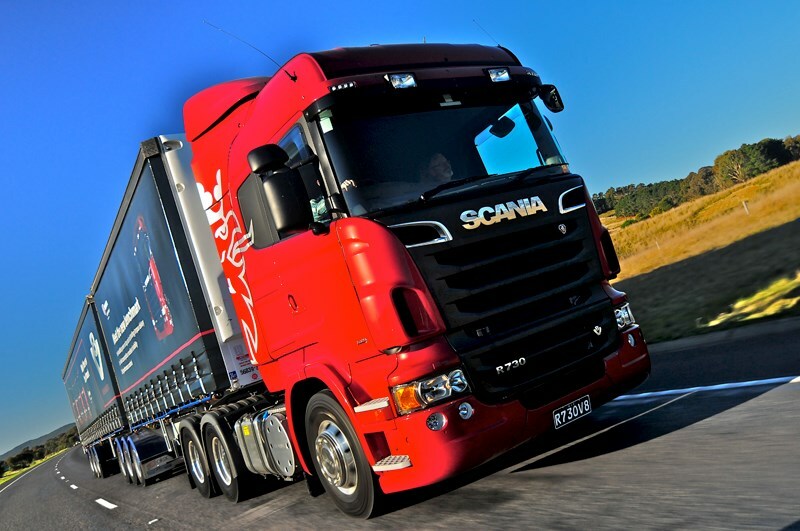 While the company has adopted a more aggressive sales strategy since the arrival of current managing director Roger McCarthy, some ‘holes’ in the product line have prevented Scania from taking a bigger chunk of the market. Chief among these holes was the need for a ‘halo truck’, one that leaves jaws sagging and tongues lolling; one that has buyers queuing at the dealership doors just to be close to it and buying anything that shares its DNA. 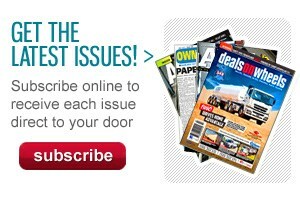 With the arrival of the R730 prime-mover earlier this year, McCarthy can claim that hole is well and truly filled. 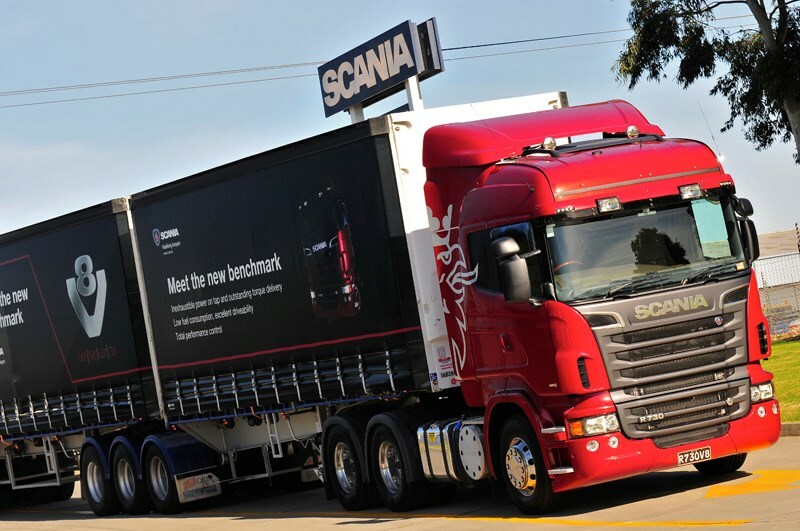 Although the first deliveries are still some time away, the Scania stand at the Brisbane Truck Show was one of the most popular, thanks to the imposing presence of the 730 horsepower monster. 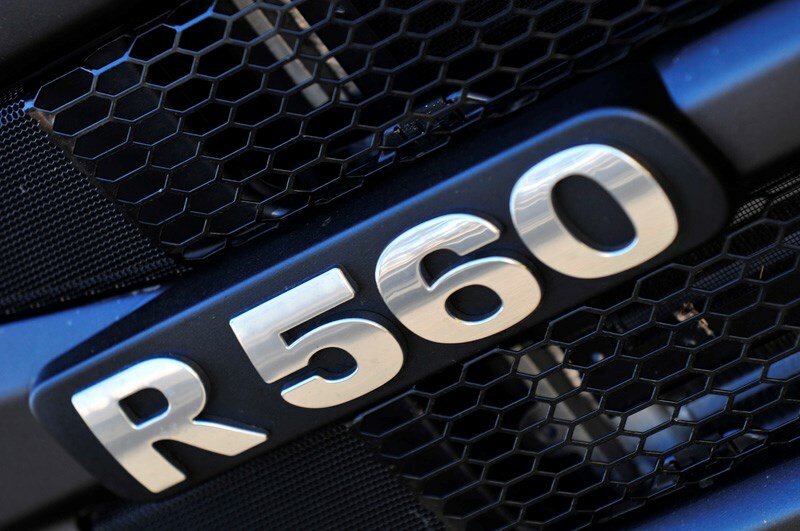 To show just how far the company’s products have come, McCarthy bravely invited journalists to travel to Melbourne and sample not just the R730, but also its V8-powered siblings the R620 and R560. 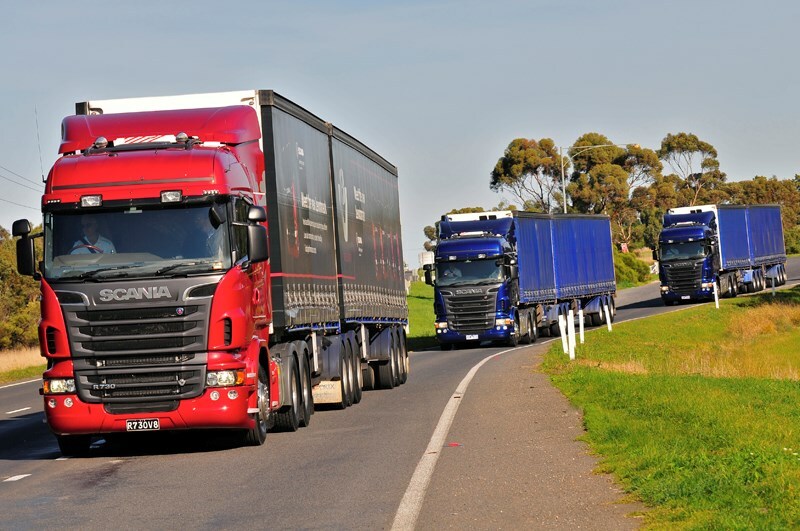 While the drive was a relatively short loop of just over 150km, Scania’s driver training officer, Allan McDonald, selected a mix of urban, regional and highway roads over a variety of terrain to demonstrate the capabilities of the V8 range. Under the skin there are changes aplenty, the first being the new DC16 21 730 V8 engine, now displacing 16.4 litres and featuring a new compacted graphite iron (CGI) block for greater strength without a weight penalty. 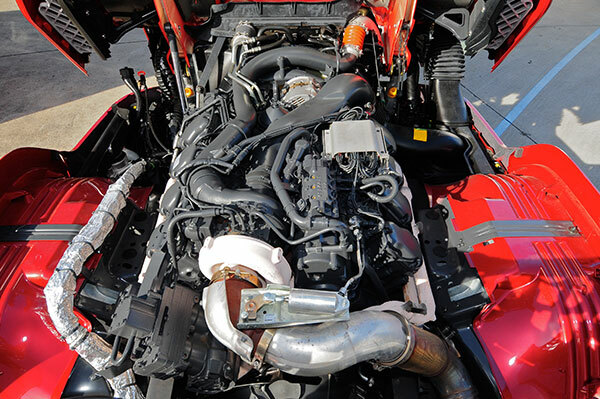 Coming from the country that gave the world Ikea, it’s possibly no great surprise that Scania designers deliberately set out to make the engine ‘modular’ which allows it to share components with other engines, right down to the 9.3-litre inline six-cylinder unit. To do this, the bottom-end engine geometry is shared with the other V8 engines, including the 154mm stroke, while the 130mm bore is the same as the six-cylinder engines, allowing interchangeability of pistons, cylinder liners, heads and other components. 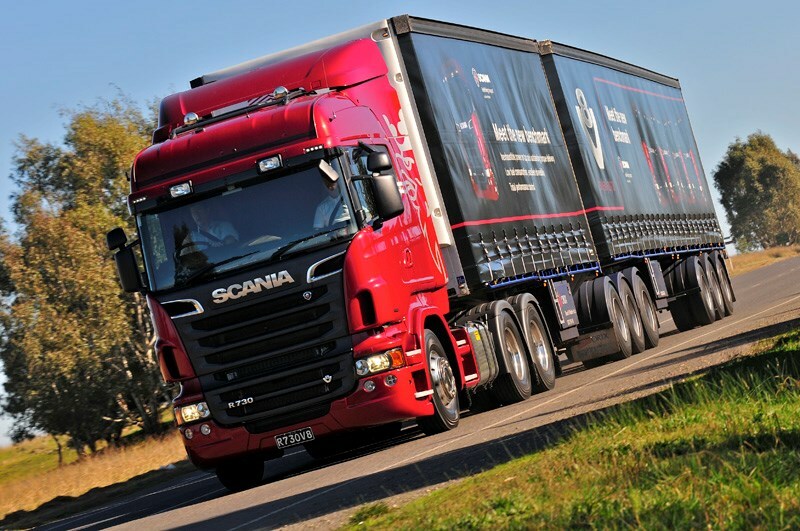 Scania has long used an individual head design on its motors, meaning in the event of a mechanical breakage, only the affected parts need to be replaced, rather than replacing the whole head, as is the case with traditional engine designs. This not only makes manufacturing cheaper, by using economies of scale when casting heads, pistons and other expensive parts, it allows operators with more than one type of engine to reduce the parts inventory, while dealers enjoy a similar benefit of being able to hold stock for multiple engines. 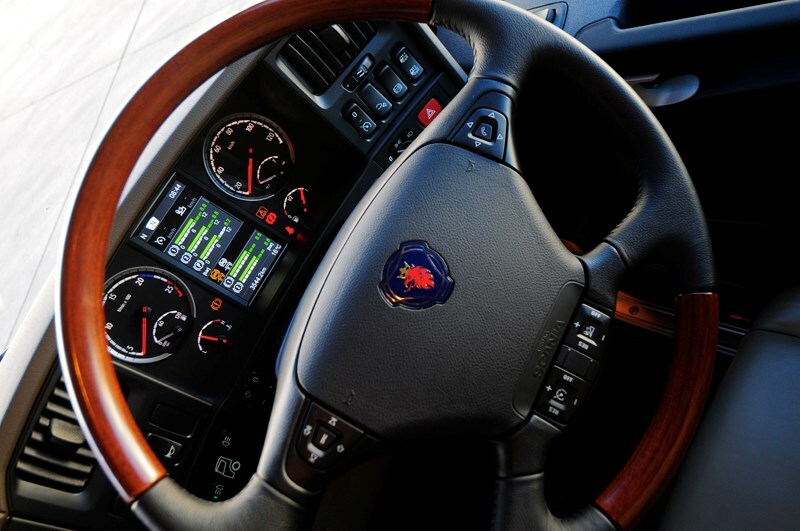 With this shared technology as a starting point, the 730 engine has other design features, all of which combine to create a supremely powerful, yet surprisingly smooth, engine that has also proven its reliability in the hands of customers since it was released overseas. 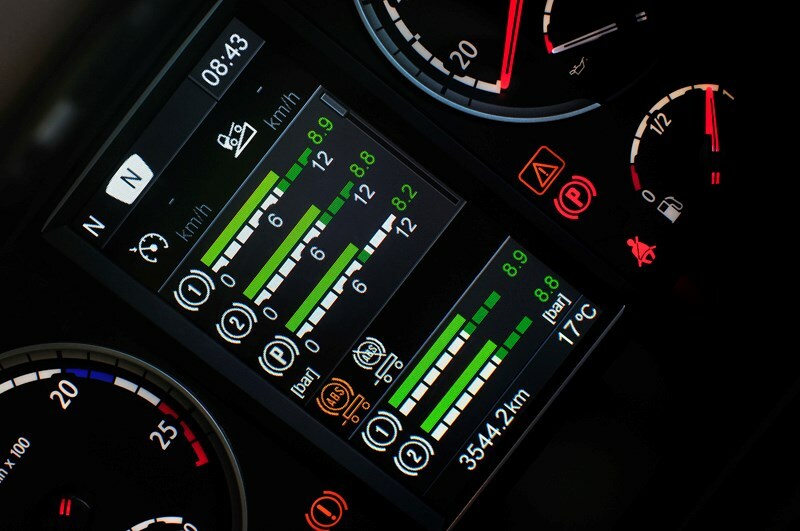 These include the use of Scania XPI extra-high pressure fuel injection running at around 1,800 bar, with a maximum pressure of 2,400 bar, electronic control of engine management systems, including emission control and safety systems, variable geometry turbocharger and jet cooling of the cylinder heads. 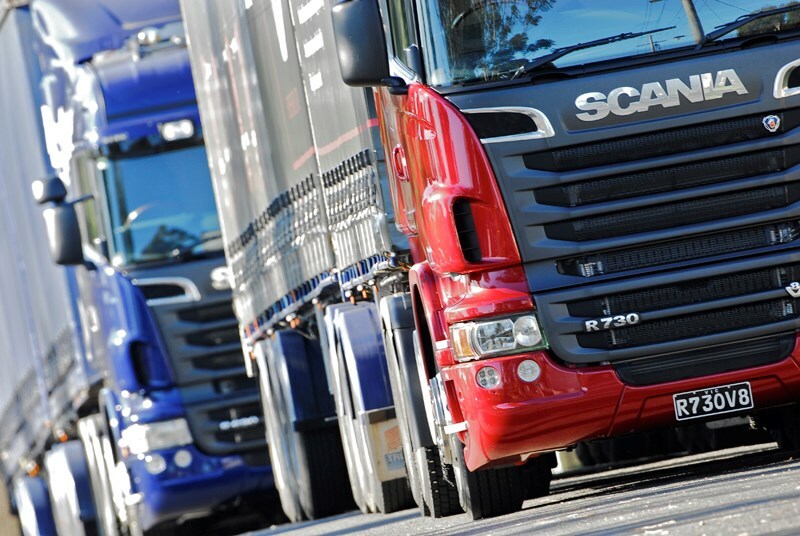 To control the NOx levels of the exhaust emissions, Scania developed a new SCR control system, using two NOx sensors, one before the catalyst and a second after the catalyst, providing a more accurate reading of NOx levels and the amount of AdBlue needed to control the emissions. 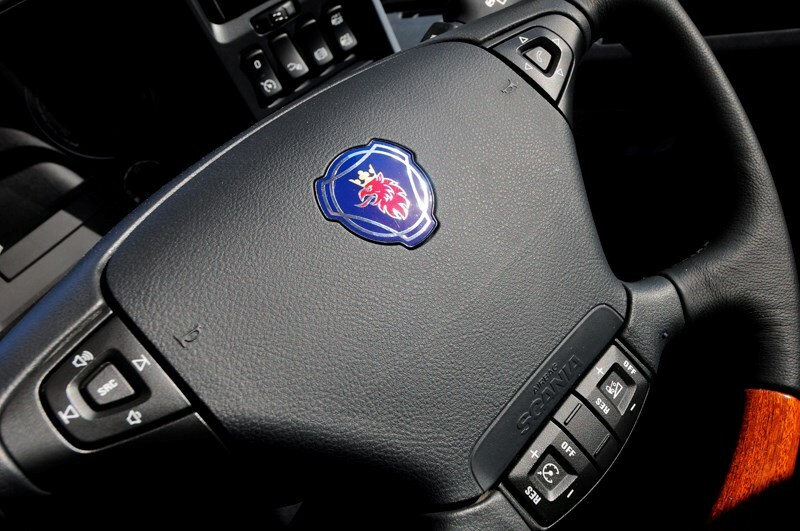 While all of this power is important, even more important is the ability to put it to the ground reliably and repeatedly, with Scania opting to use the GRSO925 Opticruise gearbox, a strengthened version of its 12-speed range-change transmission. As well as new gear geometry, the 925 is modified for use behind the 730 engine by fitting an air-to-oil gearbox cooler, a reinforced split gear with both double shot-peening and profile grinding, as well as a reinforced input shaft which is also double shot-peened. 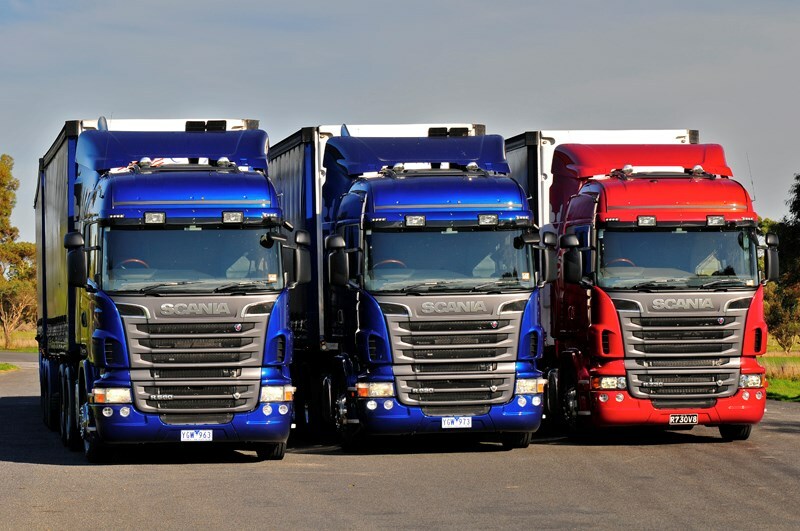 All three trucks were fitted with overdrive gearboxes, the GRSO905R 12-speed in the case of the 560 and the 620, and the heavier duty GRSO925, also a 12-speed, in the 730. 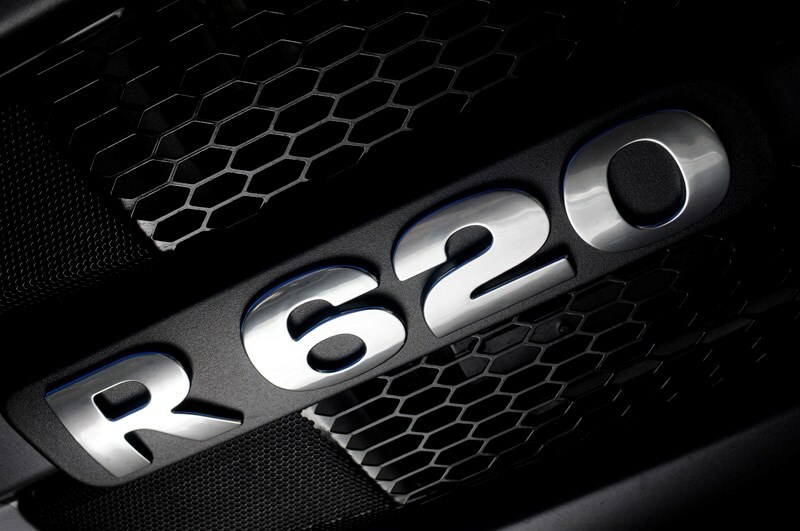 With plenty of words already written about the R-Series cabs in this magazine, suffice it to say the big external changes for the 730 version are purely cosmetic and consist mainly of the addition of ‘V8’ and ‘R730’ badges to the grille. 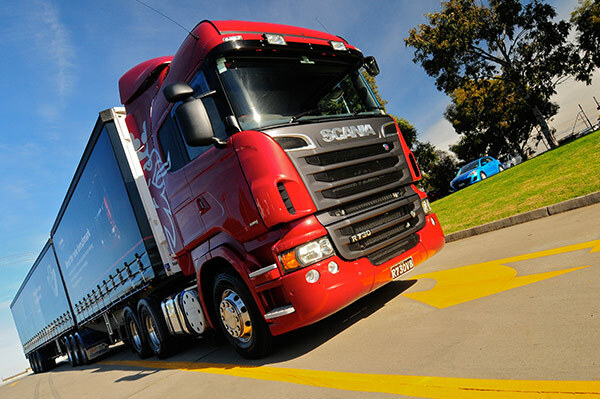 Finished in a shade of bright cherry red that makes fire engines look muted by comparison, the R730 is imposing in its Highline specification, standing out even from its electric blue siblings on a cold, clear Melbourne morning. 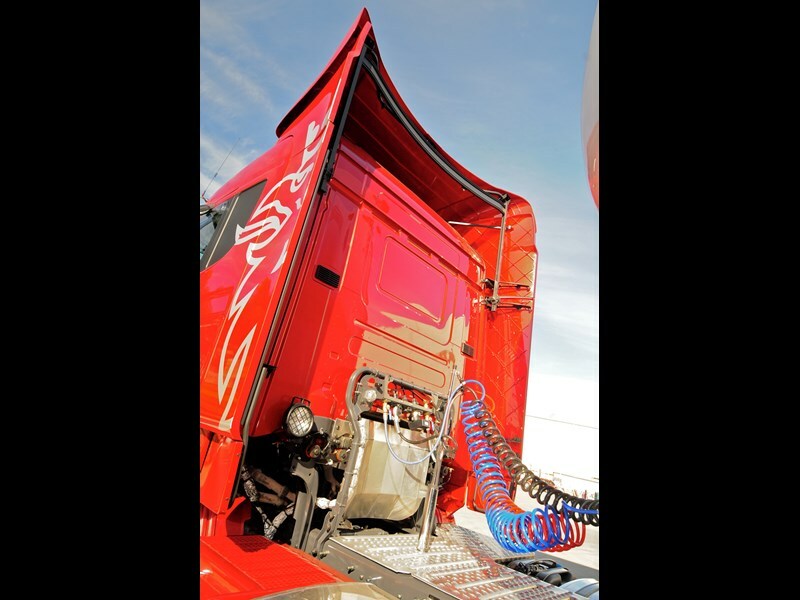 The other difference between the three is the exhaust placement, with the 730 using a horizontal exhaust exiting from the bottom of the SCR unit, where the other trucks are fitted with vertical stacks exiting above the cab. 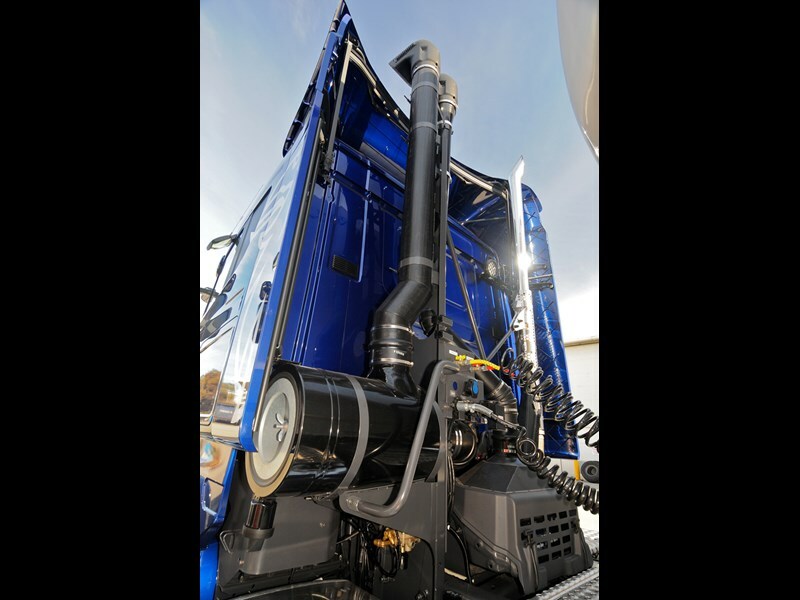 Similarly, the air intakes for the less powerful versions are vertically mounted, drawing air in from above the cab, while the 730 uses a low-mounted intake on the driver’s side. 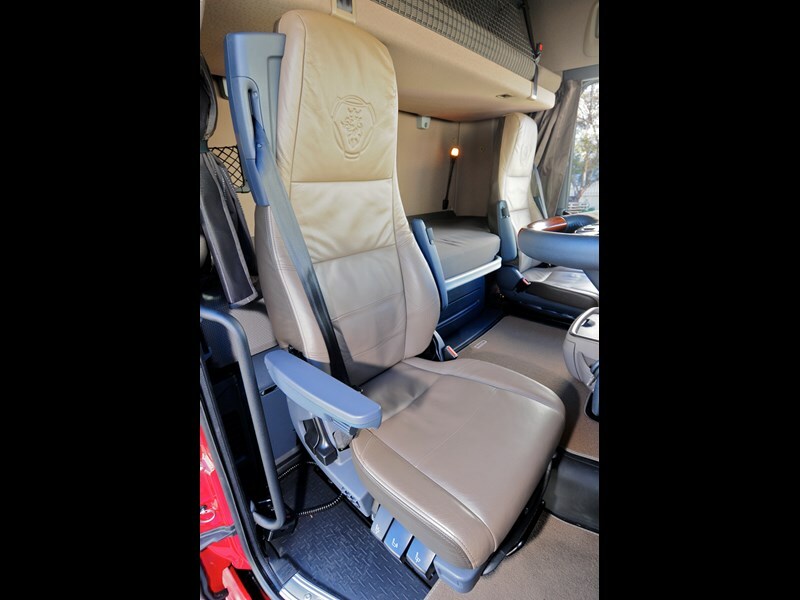 The overall result is the R730 has a clean back-of-cab with plenty of room for the driver to move around on the work platform. 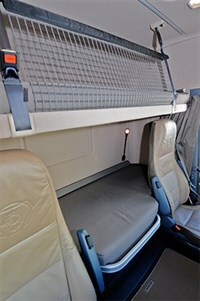 The cab extensions offer protection from wind and spray while hooking and unhooking trailers. Climbing up into the cabin of the R620, as this was another truck I had yet to experience, the overall feeling was one of familiarity, with all the important controls right where I expected them to be. 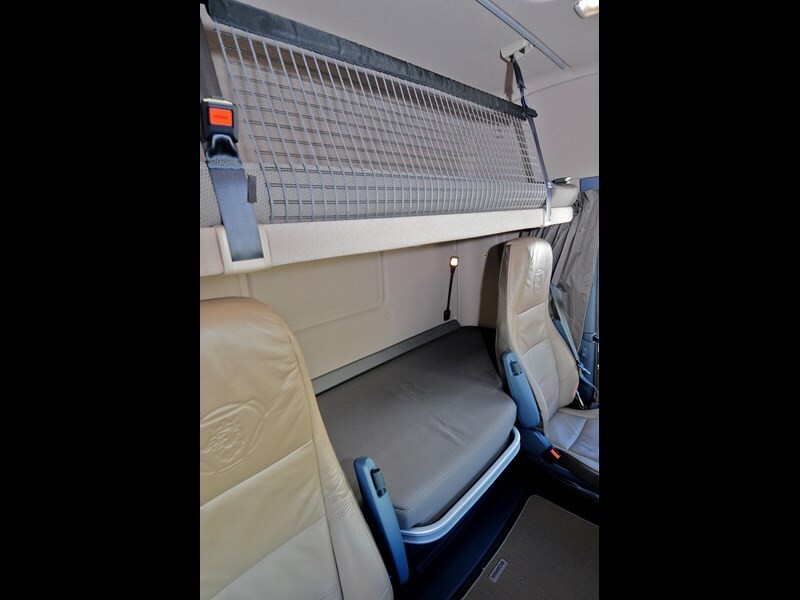 The Highline cab is very well appointed, including leather trim, a fridge under the bunk, plenty of storage space around the cab for odds and ends, and generally a feeling of being remote from the world — which isn’t that hard when your seat is about 3.5m above ground level. It’s remarkable how such a little key can bring so much power to life with a simple twist of the wrist, with the engine rumbling away happily somewhere underfoot. 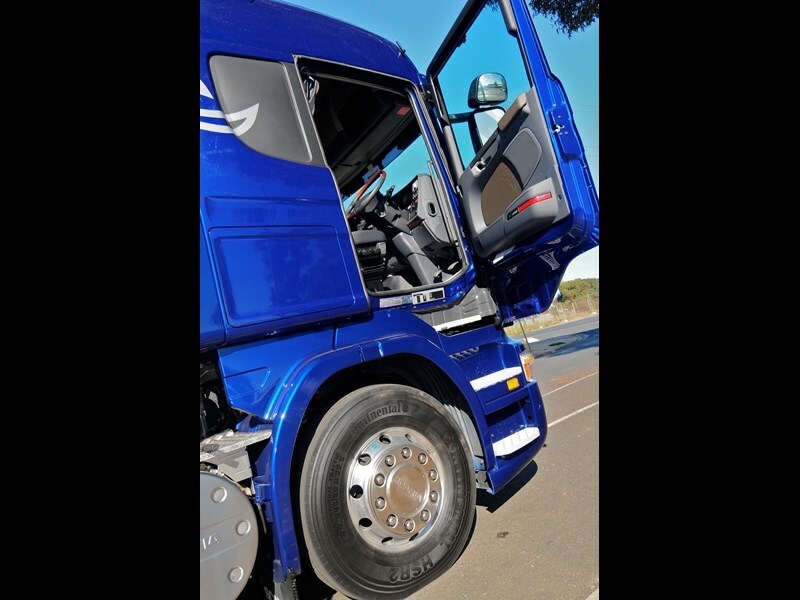 Again, having racked up large kilometres in various R-Series cabs, there is nothing new to report on that front, this exercise is all about testing the capabilities of the driveline. With three versions to drive, someone was always going to miss out initially, and that means I drew the long straw in terms of waiting to sample Big Red. But having waited the better part of a year, what was another couple of hours? Excruciating; the suspense was killing me! Heading out of Melbourne on the old Hume Highway, the first impression is of a reasonably stress-free drive through the morning traffic around the industrial area of Campbellfield. The 620, with its 3,000Nm (2,210 ft-lb) of torque, feels as though nothing is too much trouble; a squeeze on the accelerator, and away it goes. 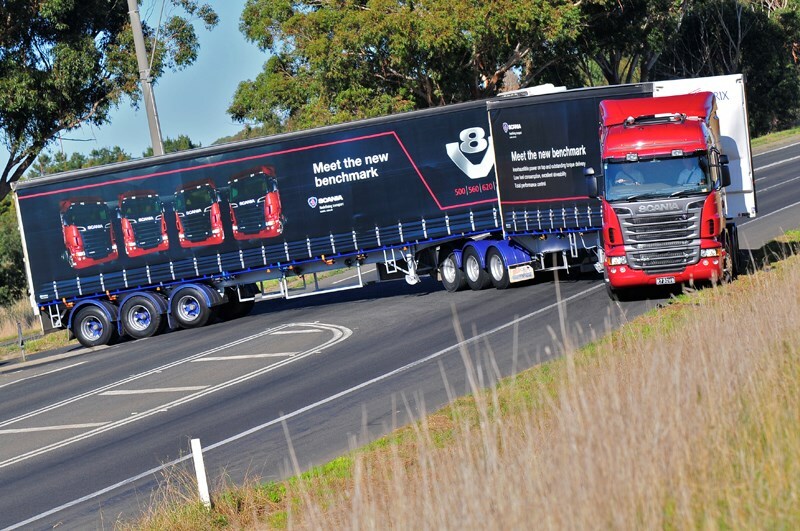 All three trucks were loaded to a touch under 59 tonnes to give as close a comparison as possible and also to highlight the differences of the powertrains. In the case of the 620, it can best be described as unfussed, it might take a moment to think, but then the required effort is put into effect, and the truck ambles lazily into action. This is not to make light of the 620 as a performer. Having escaped the confines of suburban Melbourne, we steer Electric Blue out onto the highway, engage cruise control, and let the powertrain impress with its ability to hold speed. At no point did the engine struggle, nor did the soundtrack alter too much from a comfortable, almost lazy throb as the 620 held its place on the highway. Having been impressed with the R-Series ever since I drove an R480 six-cylinder from Melbourne to Sydney, the truth is I had high expectations of the 620 before the test started. All three trucks were fitted with 3.42:1 drive ratios and the 620 is never going to be a sprinter, but it seems to be ideally specified to cope with long-distance operations, covering a range of terrain where it would reward operators with good average fuel consumption, even if it isn’t always going to be the first one up the mountain. As it turns out, that’s exactly how it performs, with a measured pace, losing a little ground on the steeper inclines and perhaps not pulling out of slow corners as hard as some of its competition. But nevertheless, you know it will always be there at the end. 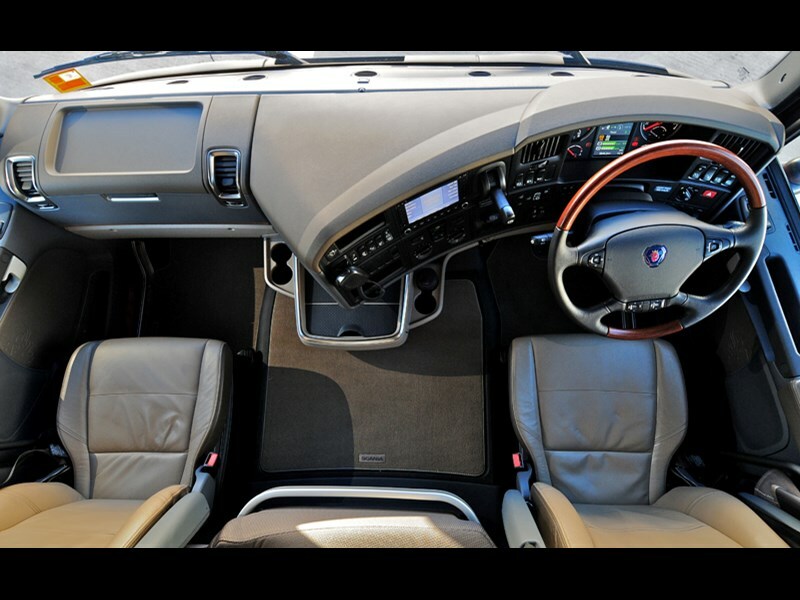 More importantly, it does all this with a feeling of style and grace that comes from a premium cab interior, the driver being very effectively removed from the worst of road conditions. 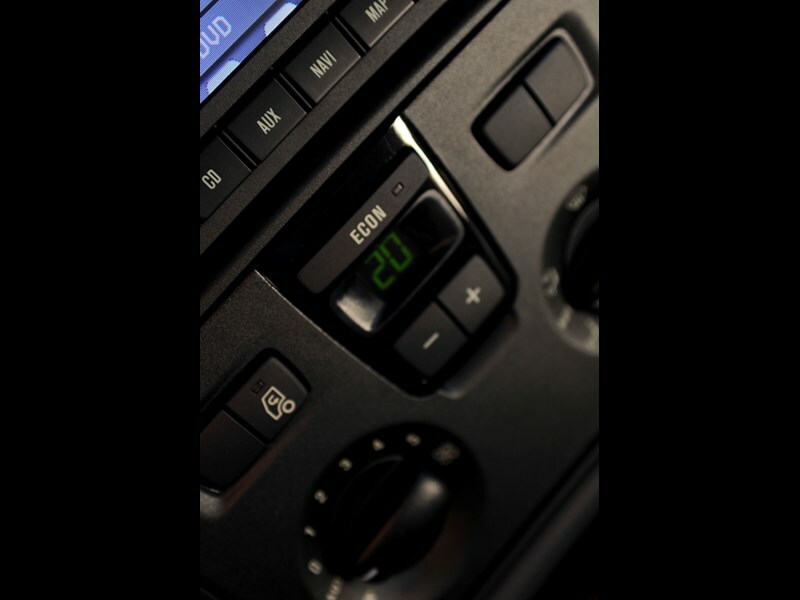 The dial-a-temperature air-conditioning allows you to spend the day in shirt sleeves, regardless of how cold it is outside, just make sure the big coat is handy when you step out into the 4C temperature when it’s time to stop for a coffee. 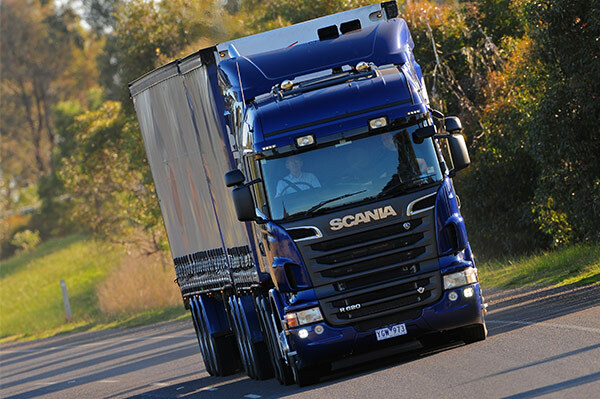 With the course taking in the roads running around the back of the Puckapunyal army base, there are plenty of blind corners that result in the road speed dropping to around 60-70km/h, allowing the engine to lug its way back up to speed. 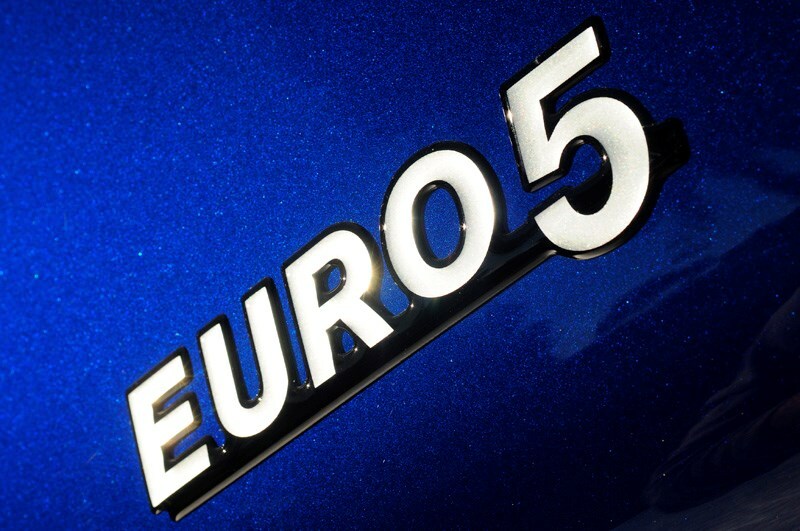 If Little Blue, the 560hp ‘baby’ of the trio, was human, you would probably offer it a sympathetic shoulder in this company and point out that in a fair competition, neither of the other two would be included. Unfortunately, it wasn’t a fair fight, so the 560 had to compete against its more powerful siblings using the same gear and drive ratios. 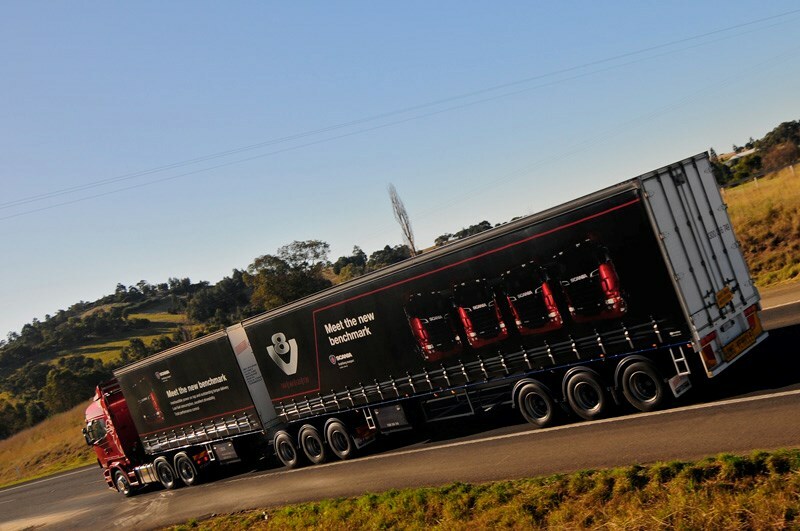 As a result, after driving the other two trucks, the 560 was found to be wanting in the grunt department, with 2,700Nm (1,990ft-lb) of torque at its disposal. 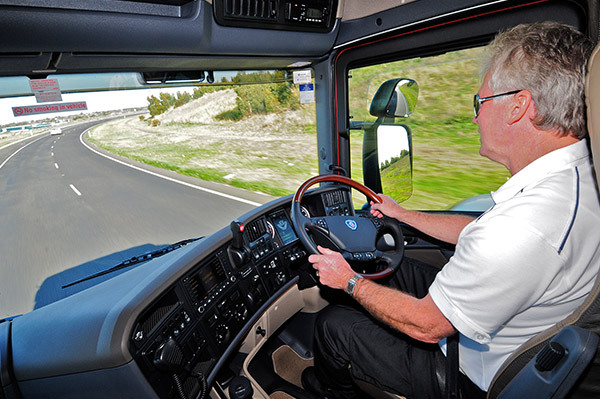 Driven in isolation, the 560 would be described as an ideal fleet truck, with a high standard of driver accommodation mixed with reasonable performance and better than average fuel burn. Unfortunately, head-to-head with trucks offering significantly more torque — in the case of the 730, nearly 50 percent more — it felt slow to accelerate and positively sluggish up hills. Pulling out of the same corners where the 620 would happily lug back up to speed, the 560 needs to go back at least one extra gear to have the same rate of progress. 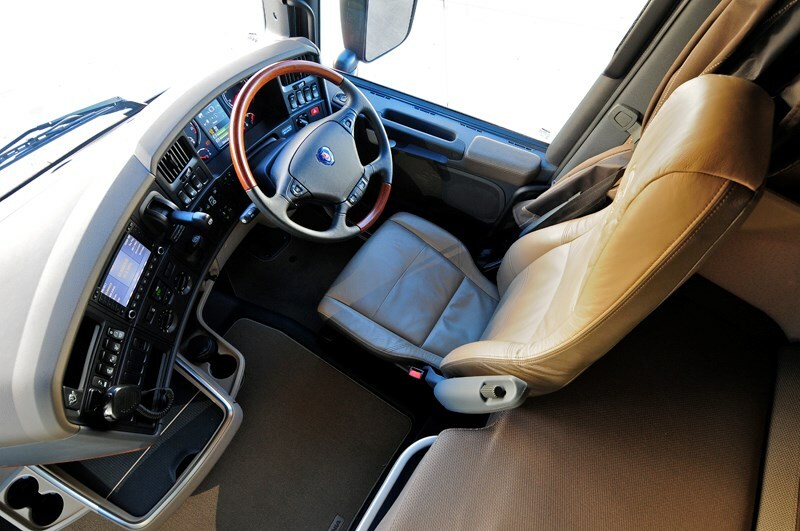 The upside is the ride from the parabolic spring front suspension and two-airbag rear is every bit as polished as the other two trucks, while the four point cab suspension ensures the driver sees the nasty pothole, but doesn’t need to feel it. The 905 Opticruise is as smooth and silky at both up and down shifts as the other trucks, perhaps even more so, because it is, of necessity, making more of them to keep up. 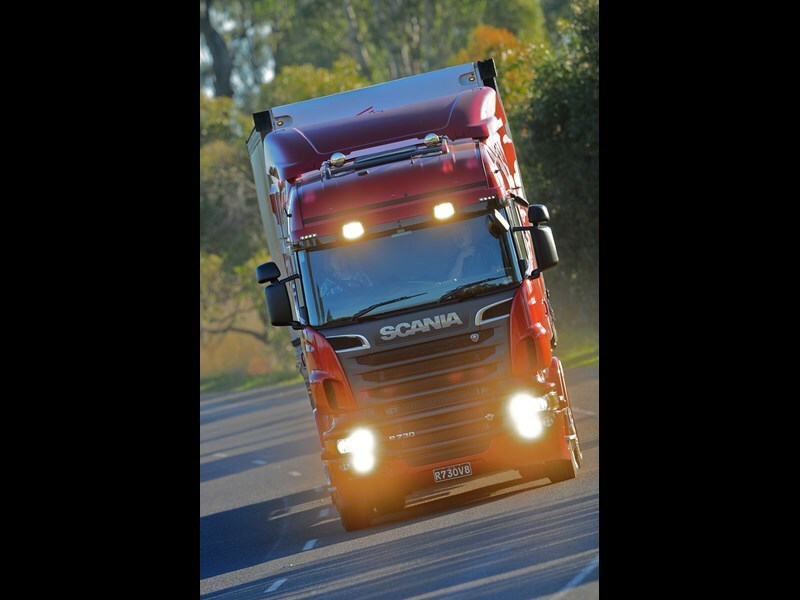 The one area where the 560 can hold its head high is braking, with the Scania hydraulic retarder generating 304kW of braking effort, identical to the 620 and just 16kW less than the 730’s 320kW. 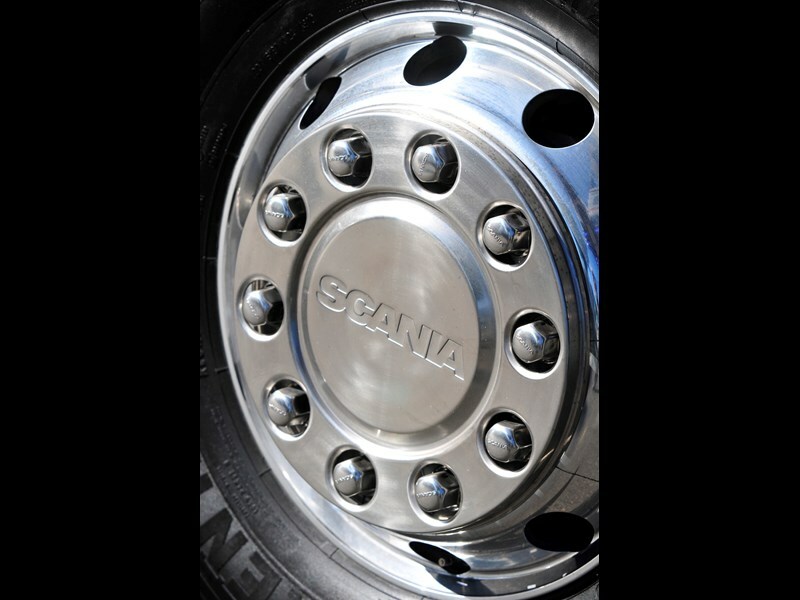 All trucks are fitted with disc brakes all round and ABS and EBS braking, which makes for impressive stopping ability, as we discovered when a local farmer pulled onto the main road and came to a dead stop, just a few car lengths in front of Electric Blue. With the retarder in auto mode and my foot burying the brake pedal in the floor, the 620 threw everything into the stop, including automatically dropping back down the gears to build engine revs to help the retarder function at its best. Fortunately, it all came together as the designers intended, the truck stopped short of the car, and the farmer turned into the carpark, oblivious to his near-miss. Which, at the end of the day, is exactly as it should be. 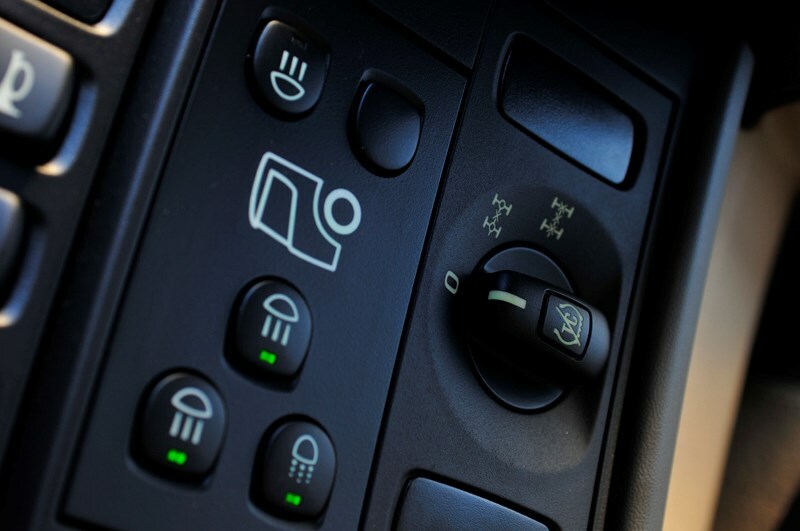 With one major hill descent on the journey, it’s an opportunity to see how the downhill speed control works, dialling up a common speed of 40km/h, in line with the road signs, engaging the retarder and letting the systems do their best. And they did very well indeed. 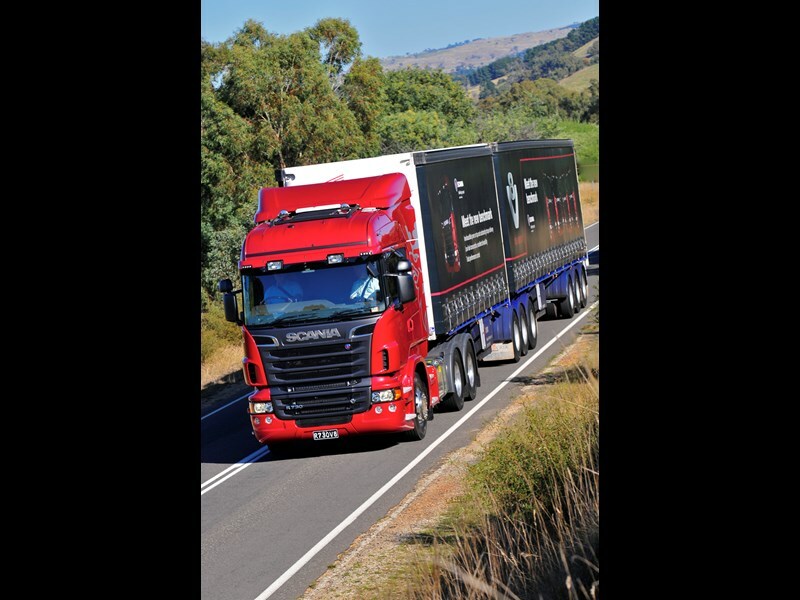 Each truck inched its way down the hill, never exceeding the set speed, using a combination of retarder and gearshifts to control momentum, leaving the driver the enviable job of keeping the truck on the road. Looking as though it would be right at home in one of Mr Heinz’s advertisements, the 730 is a driver’s dream. 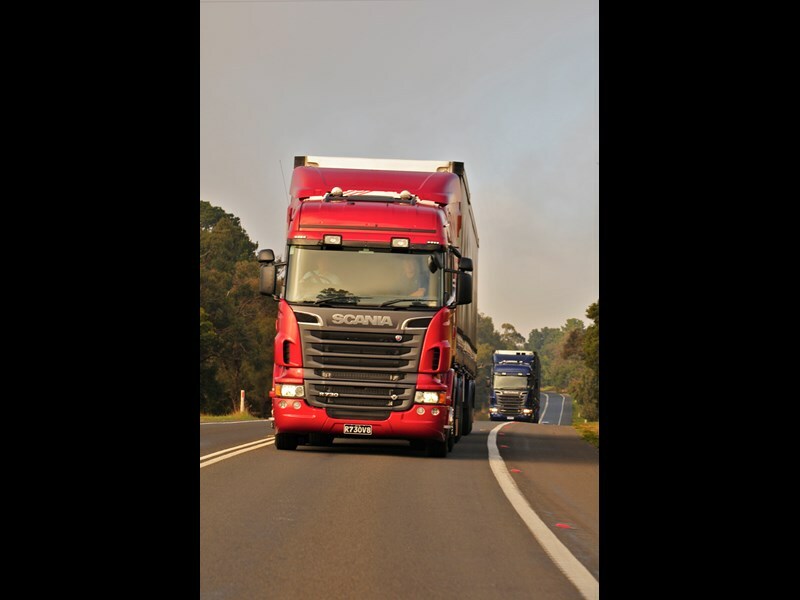 While there are still some who demand a line-haul truck carry at least 1,500 litres of fuel, the reality is fatigue management regulations and Queensland imposing a fuel tax means there’s no longer a necessity to run that much fuel in daily operations. 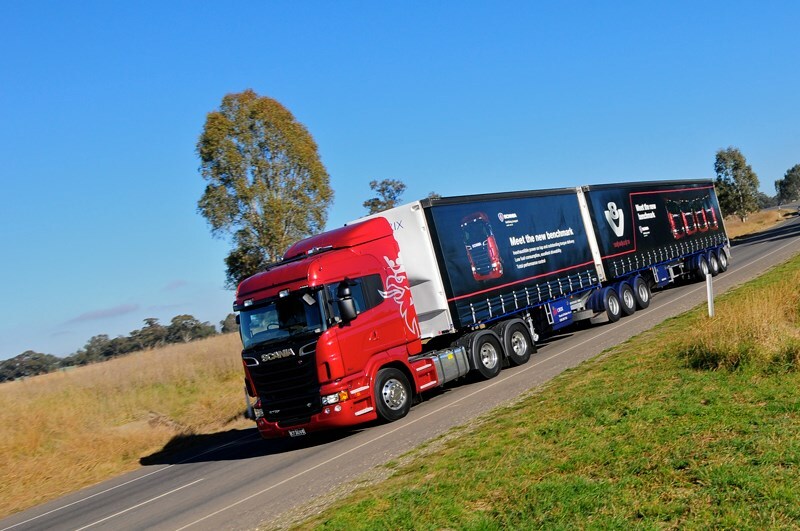 Factor in the ability to run at regulation B-double weights while returning predicted fuel consumption figures of more than 2km per litre, and the 730 is more than capable of handling Brisbane-Sydney or Melbourne-Adelaide without a refill. Go any further than that and it becomes necessary to have a long break. Why not top up the tanks at the same time and be comforted with the knowledge that 850 litres of diesel not only costs less but weighs less than 1,600 litres? With one full lap of the course under my belt before taking the wheel of the 730, I tried to think of challenges that could be put to the machine to identify an Achilles Heel. 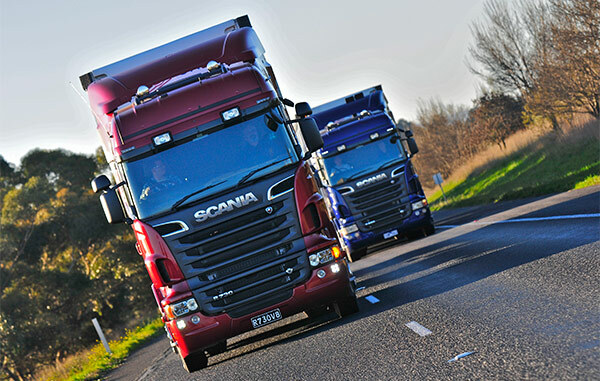 I tried them all, but the 730 proved to be the Sir Galahad of road transport, turning in a flawless performance. The steepest of climbs was dispatched as though it was a mere hillock rather than a steady climb that even the 620 had resolutely chugged its way up. Instead, the 730, complete with 3.42 drive ratio, dialled up an extra 100 rpm, and thundered its way up and over the obstacle like a tank cresting a sand dune, an appropriate analogy given the test’s proximity to the Australian Army’s armoured regiments. In fact, that might almost have been a fairer comparison, to load one of the Men in Greens’ main battle tanks onto a low loader and let the 730 pull it around the test loop. 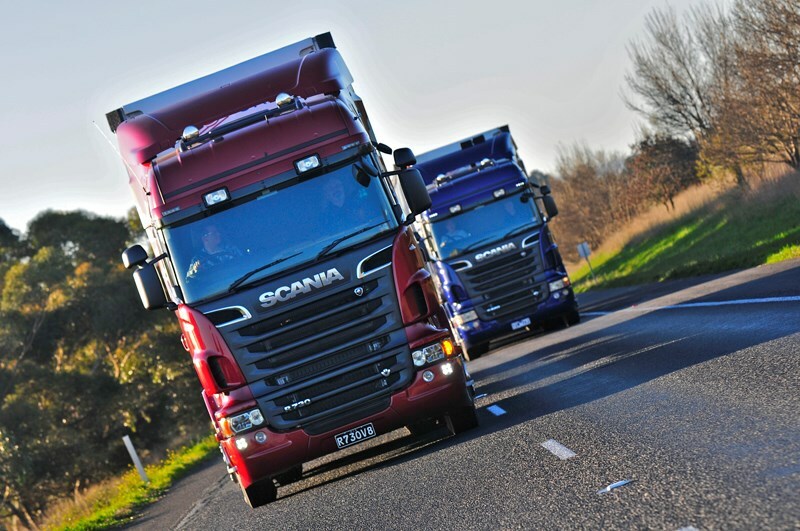 As it was, the 59 tonnes that had left the 560 struggling to keep up on some of the twistier roads might as well not have been there, such is the pulling power of 3,500Nm. 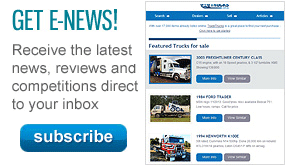 Many times the question arises, what is an appropriate freight task to justify purchasing the 730? The answer: anything you feel like, because the 730 gives the constant impression of wanting more, almost challenging the driver to find a tighter corner, a harder climb, a steeper descent, because the ones we tried on the day were treated with disdain. Pulling out onto the road from a standing start, the full torque wasn’t available. Instead, the computer reduces it to about 95 per cent, to protect the diff centres from being turned into metal filings, or the drive shaft twisted into spaghetti. While that might protect the driveline, the reality is that 95 per cent of 3,500Nm is still more than 3,300Nm, and that’s more than operators of American trucks can dream of having as peak torque, let alone as a restricted figure for take-offs and low gear acceleration. 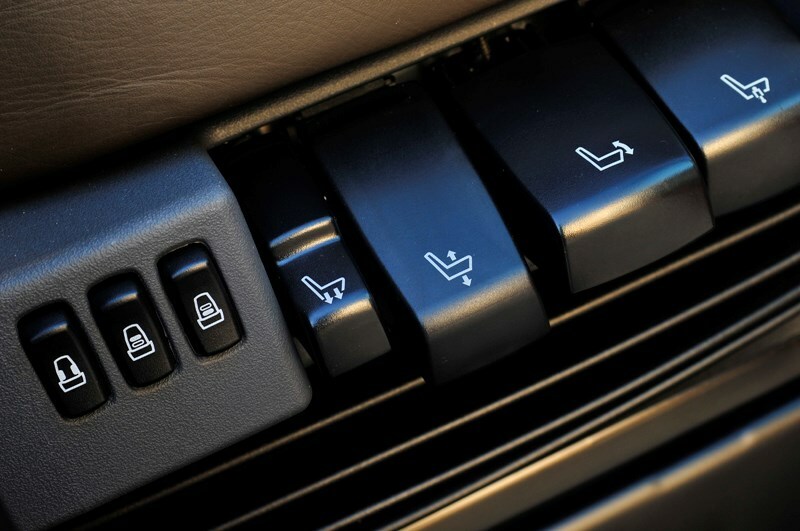 While there’s been plenty of fuss, and column space, about the 730 and its prodigious power output, the reality is you barely get to use it: even cruising at 100km/h, the engine is burbling along at a sedate 1,400rpm, a full 500rpm short of peak power. 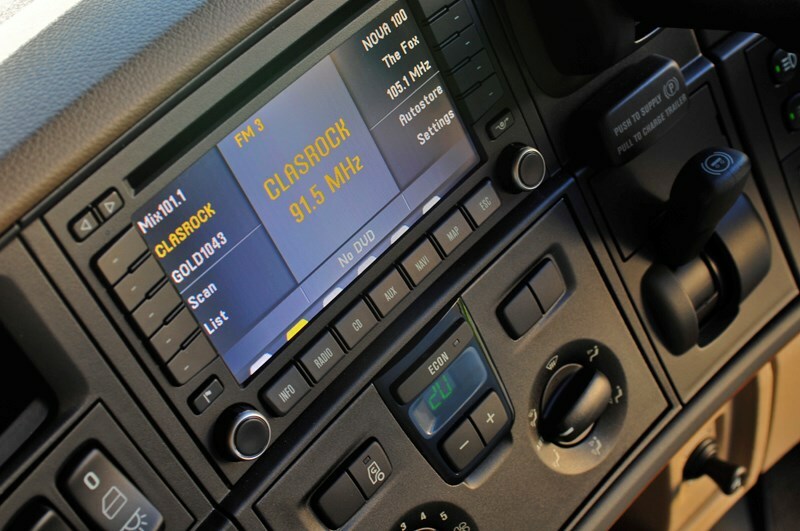 Instead, this truck is all torque, and the good sort, not the AM radio sort, and that means ‘get up and go’ in abundance, so much so that the trucks behind you will wonder where you got up and got to. Having said that, this isn’t going to be an everyman’s truck; for a start, there’s the price differential compared to even the 620. 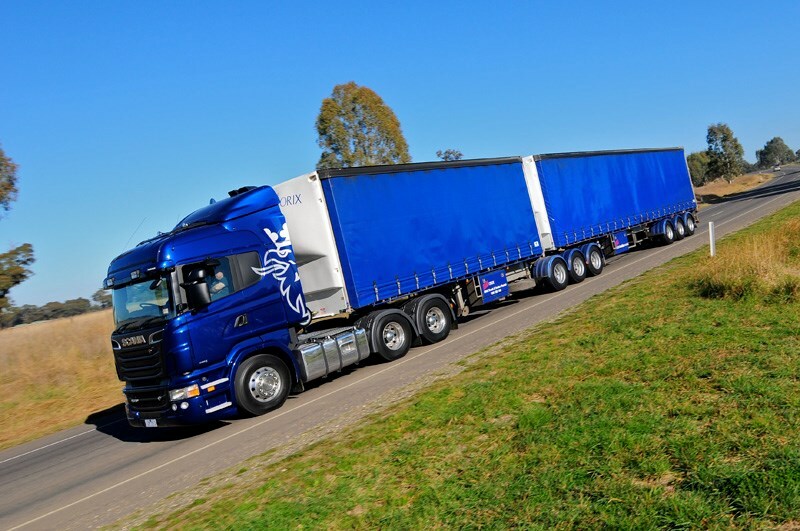 But if your business is about moving heavy loads a long distance over tough terrain, then perhaps you should broaden your horizon and include the 730 on yout shopping list. 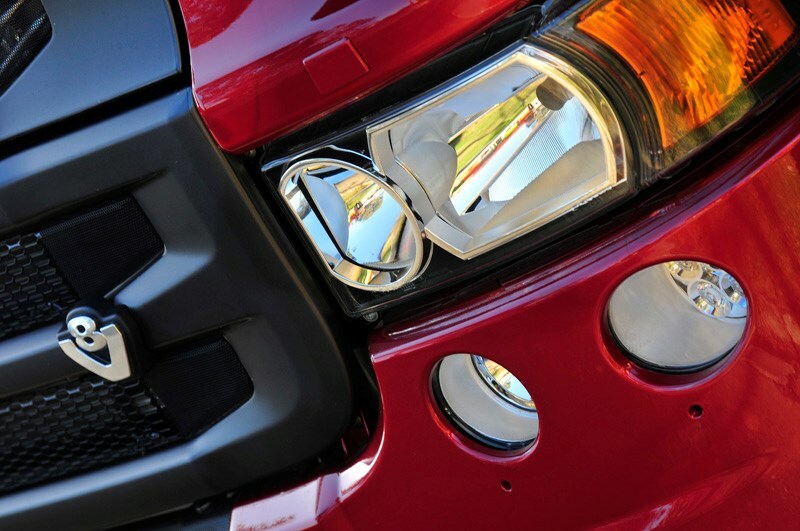 You might buy it, you might not, but once you’ve tried true torque, it puts other trucks into perspective.